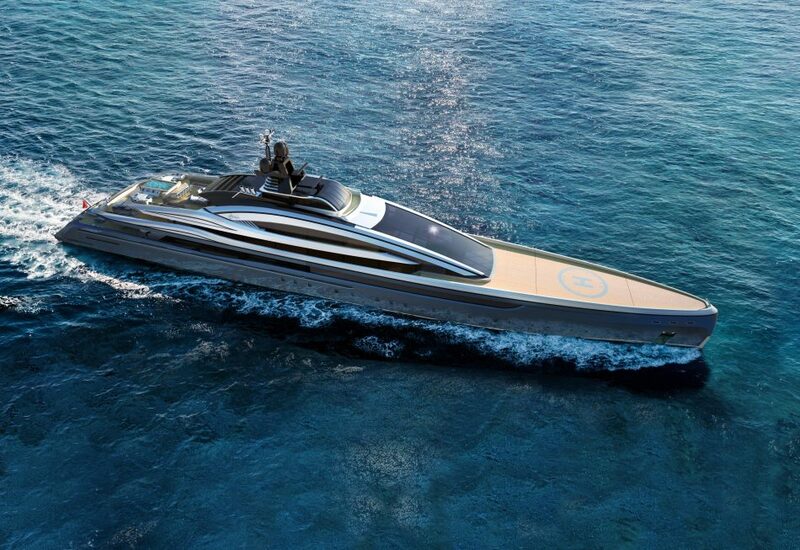 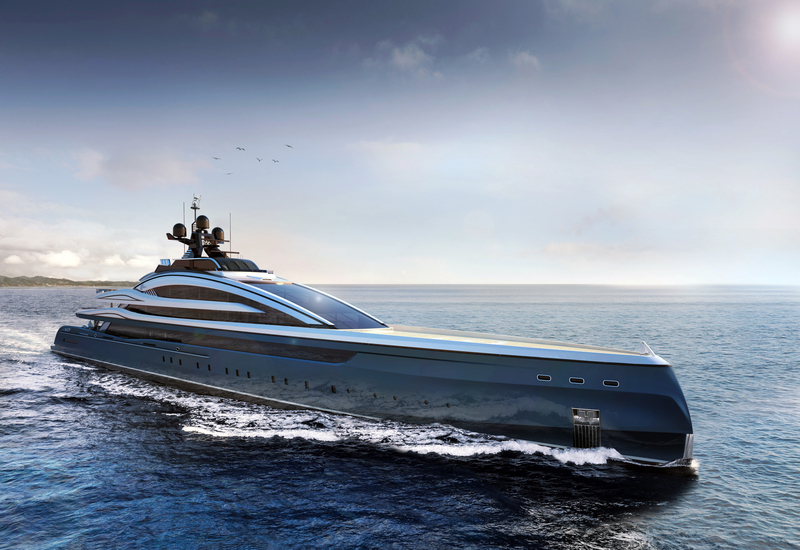 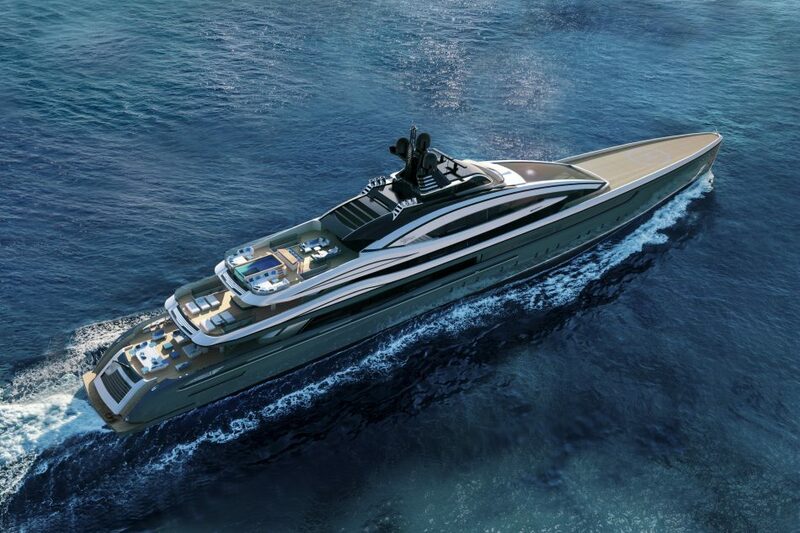 Concept “Crossbow” is a unique take on a 100 meter superyacht, designed around the idea of a high performance and efficient all aluminium vessel which is fast, light and with a sleek sporty aesthetic. 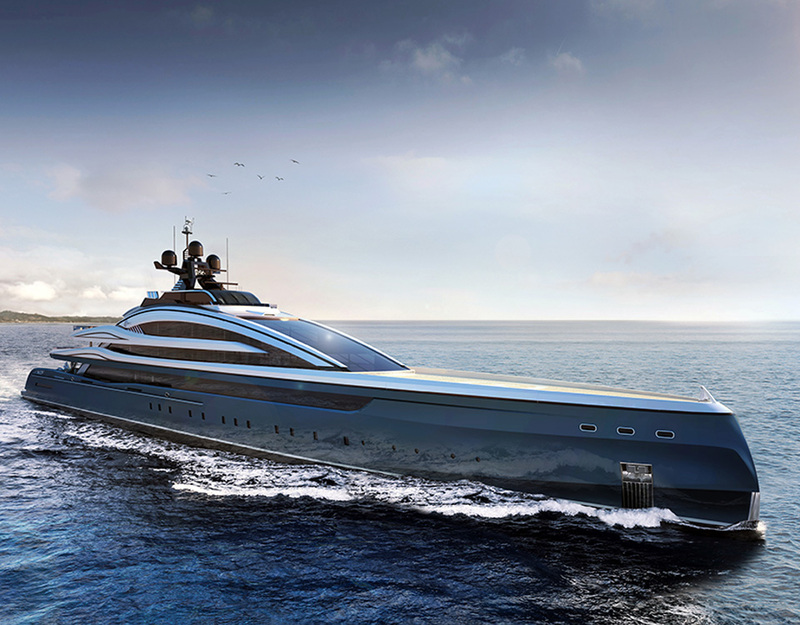 We have designed the yacht to give the impression of large continuous glass to achieve a curved windscreen. This in turn creates a huge double height forward facing interior lounge. The interior layout of this vessel has been designed with flexibility in mind, including variations of a private owners deck or a larger owners suite on the upper deck. 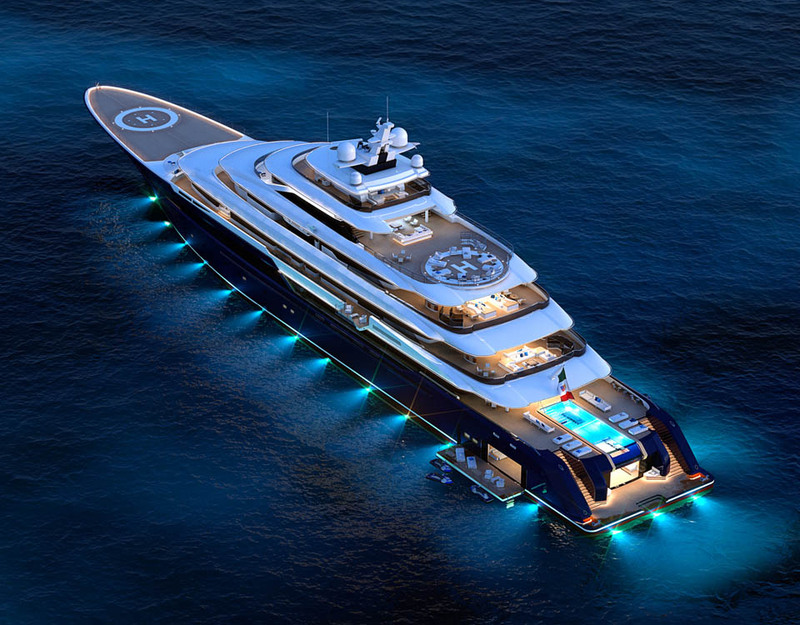 The exterior deck areas have been designed with speed in mind, keeping the fixed furniture light and well protected from the wind, with the bow transforming at anchor into an expansive entertaining and sun bathing area. 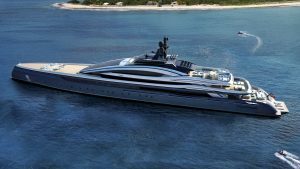 M/Y Crossbow has also been designed to remove the reliance of a support vessel for extra toys and tenders, we have integrated an opening heli-hangar on the foredeck as well as 2 x 9.5mt custom tenders and toys in the aft garage located in front of the 135m2 beach club. Her shallow draft of just 3.5 meters is also ideally suited to cruising in areas that many yachts of this size cannot access.